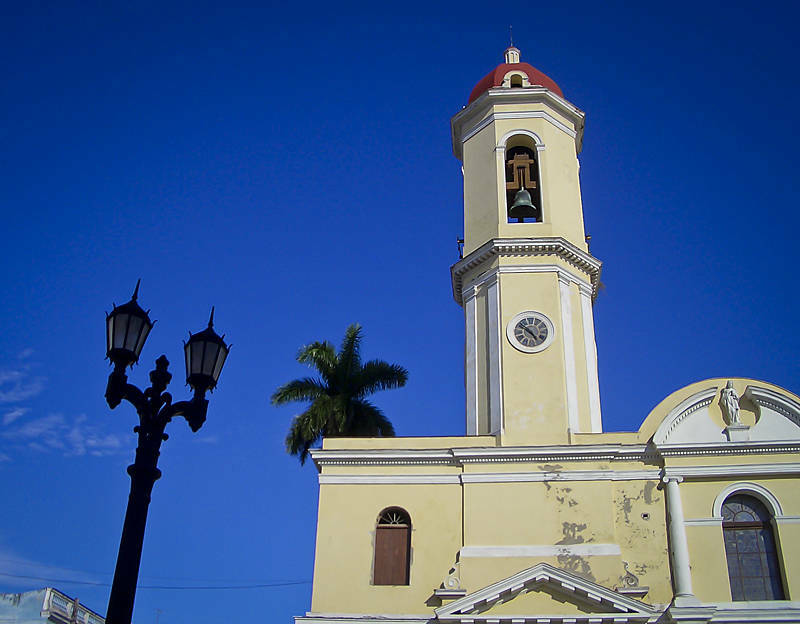 This is the Cathedral of the Immaculate Conception in Cienfuegos. Roman Catholicism is the main religion in Cuba. In 2015 Raúl Castro lifted a ban on people of any faith joining the Communist party. This ended the separation of Religion and Politics which has existed since the government declared itself officially atheist in 1961. This photo was taken with an early compact digital camera EX-Z3 in 2004. It is also the first image I had accepted by Shutterstock for Stock Photography and is available for download here.